It’s called leaky gut? True, leaky gut is not a charming thing to think about. It sounds horrible! The image that the name conjures is not exactly what leaky gut refers to. It’s actually quite serious, as leaky gut is now thought to either cause or elevate many serious illnesses. Leaky gut is currently being associated with, but not limited to: autoimmune disorders, inflammatory bowel disease, type 1 diabetes, autism, allergies and asthma. It is a perfect example of how critical a healthy Gastrointestinal tract is to your health. If you read the digestion overview page you’re familiar with the epithelial lining of the intestinal tract that is covered with villi, similar to a shag carpet. The tight junctions of the villi are what keep the bad stuff (pathogens, parasites, etc) out and let the good stuff (essential nutrients) in. This is the part you really want to pay attention to: the leaky gut causes listed below will slowly wear down your villi. Your shag carpet will look more like berber. The tight junctions between the villi can be broken down, and once that occurs the gut lining becomes more permeable, and these enlarged spaces can easily absorb larger than normal protein molecules. I know – isn’t protein good for you? Yes, but large protein molecules go directly into your bloodstream, and that is not where they should be. Your immune system immediately sees them as foreign invaders and creates antibodies, which can potentially cause reactions when you consume those foods again. This create a cyclical effect of leaky gut symptoms. Until you get to the root of the issue, you will continue to contribute to your leaky gut problem and cause systemic inflammation. For a very detailed review of the topic check out Dr. Leo Galland’s synopsis of Leaky Gut Syndrome. There are more symptoms than listed here, but if you suffer from any or all these it would benefit you to actively repair your gut lining. So you don’t want leaky gut? Neither do I, but too late for me…until I learned that I could heal it. Your gut lining can absolutely be restored if you make some lifestyle changes and become actively involved in the healing process. More on that below and here. It seems every day more research is linking intestinal permeability to diseases and clinical disorders. It’s unknown if it’s the primary cause of some conditions or a secondary consequence of other disorders, acting as a link in the cycle of symptoms. Unless specifically investigated, the role of altered intestinal permeability in patients with leaky gut often goes unrecognized. Dr. Leo Galland discusses the four viciuos cycles of leaky gut; I highly encourage you to read his article. Food Allergies, Sensitivities & Intolerances: A sort of chicken or the egg situation. You’ll have to identify what’s exacerbating your gut issues, and remove that from your diet. Once you have intestinal permeability offending foods will only worsen the issue, and you may develop sensitivities to a multitude of other foods. It’s not necessarily permanent. Check out my food allergies, sensitivities & intolerances page. Stress: Heightened stress hormones put a complete stop to digestion since your body wants you to deal with the stressor (work, late nights, relationships – whatever your stressor may be). Chronic stress will also deplete a gastrointestinal tract immune protein known as secretory IgA, which will then allow easier entry for protein molecules into the bloodstream. Incomplete Chewing: It allows larger than normal proteins into the bloodstream. Dysbiosis: Having microbial imbalances in your gut will weaken you gastrointestinal system, making it less effective, prone to inflammation and weakening your natural defense system. Check out my dysbiosis page. Large meals: Overeating will overwhelm your digestive system. Low Levels of Stomach Acid: If you don’t have adequate stomach acid (HCl), you can’t digest your food properly, period. Inappropriately large proteins and pathogens can reach your intestines, and as we know, that is bad. Low Levels of Pancreatic Enzymes: Enzymes are so very important. As discussed in the overview page, they are imperative in the digestive process. Once you have intestinal permeability this will only worsen the issue. 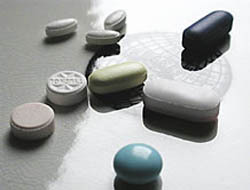 Medications: Prescription antibiotics are indiscriminate killers – they kill the good and the bad. Frequent use of NSAIDS (non-steroidal anti-inflammatory drugs such as Advil, Motrin, Aleve) can very often damage the gut lining. Alcohol: Alcohol compromises gut health, particularly on an empty stomach. Alcohol abuse makes people much more susceptible to a compromised gut. Well it’s safe to assume if you are suffering from more than a few of the symptoms above that your gut isn’t in top notch health, and there are simple ways to address that, mainly by following the 4 R protocol. There are some helpful options below. Lactulose/Mannitol Test: Also called the Polyethelyne Glycol (PEG) test, is a common test for leaky gut. You are given a solution containing lactulose (a disacharride – sugar) and mannitol (a monosaccharide – sugar), and then collect your urine afterwards. Both substances are water soluble. Mannitol is easily absorbed and penetrates cells, while Lactulose has larger molecules and should only be partially absorbed. Ideally, your test would indicate high levels of lactulose (since you couldn’t absorb it) and low levels of mannitol (since you easily absorbed it). If both levels are high, that means you have increased gut permeability, letting the lactulose through easily. If both levels are low, it’s indicative of malabsorption. Comprehensive Stool and Digestive Analysis Test: The CSDA or alternate stool tests are helpful in a number of ways. Parasites, bacterial infections, (such as h-pylori) and candida (bacterial overgrowth) will be tested and are crucial to be aware of before any healing takes place. They can measure your secretory IgA (sIgA) levels which will determine the integrity of your intestinal mucosal lining. A stool test can also check for gliadan antibodies, showing a reaction to gluten peptides. They can be provided to you by certified nutritionists or licensed healthcare professionals. Food Allergy Tests: Since food allergies play such an important role in leaky gut, it is wise to do food allergy (IgE) tests which will require a serum sample or a skin prick taken by a phlebomist. 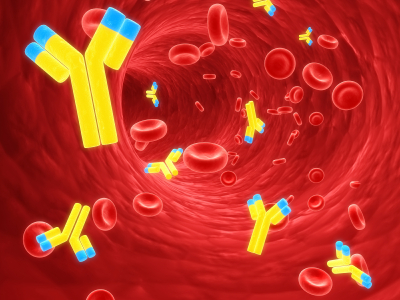 Testing for IgG antibodies can potentially test for delayed reaction to foods and food sensitivities, but the tests are not always conclusive. Again, your health practitioner can order these tests. Food allergy tests are a useful place to start when looking at your diet, but the result can show allergies to many foods that you may not have noticeable reactivity to. The gold standard is use an elimination diet as your guide. Please check out my food allergies page. 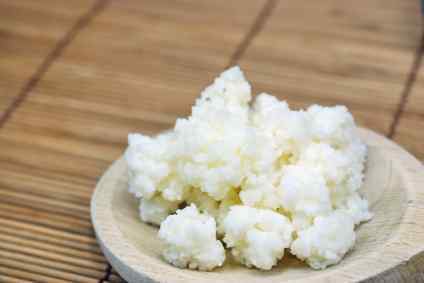 Kefir is a powerful and natural source of beneficial source of bacteria (probiotics)Once you determine what’s contributing to your intestinal permeability, you need to remove that from life. Whether it be a particular food, NSAIDs (Advil, etc. ), medications, alcohol or a combination of these and other causes, you must completely eliminate them. Does this mean you’ll never be able to eat that food again? Not necessarily. Can you never take Advil again? Probably not the case. What it does mean is that you cannot heal unless you remove them at least for a period of time – potentially a few months to a few years. Some substances – particularly legitimate food allergies, may mean saying goodbye forever. No matter how ‘healthy’ you are or how many supplements you take, your efforts will be fruitless without complete removal of inflammatory substances, as you will have chronic low levels of inflammation and permeability. Head to my healing page for further information regarding supplements and herbs that can soothe the condition.